Architects are forever pushing the boundaries of design to create spectacular, astonishing, or just plain weird-looking buildings to catch your eye. 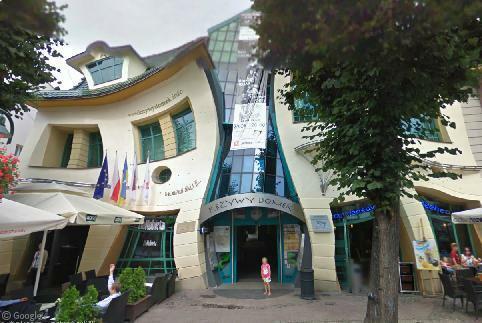 We’ve found a plethora of these deranged designs across Europe on Google Street View and on Yandex Maps Panorama; below are a dozen of our favourites! They say hell is a pretty bad place to be, but this Hel is rather pleasant – at least in summertime. Poland’s Hel Peninsula is a 35-km (22-mile) long sand bar peninsula jutting into the Baltic Sea. Formerly used as a military installation due to its strategic location, today the peninsula is one of Central Europe’s most popular beach resort destinations.